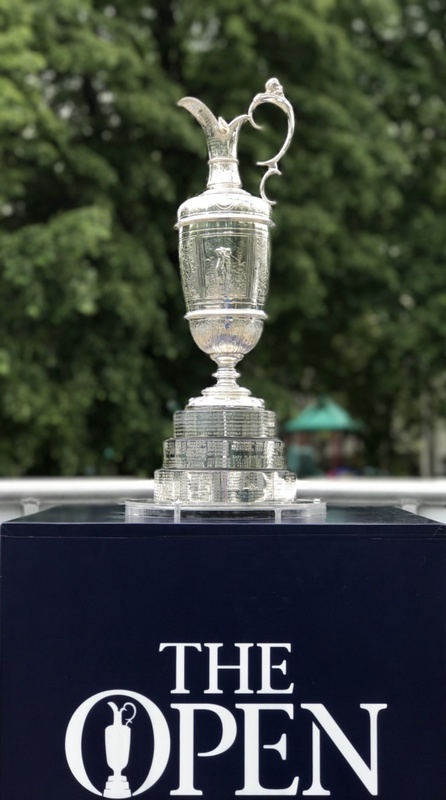 In advance of the 147th Open, the Claret Jug — golf’s most iconic trophy — took part in a tour across the United States. 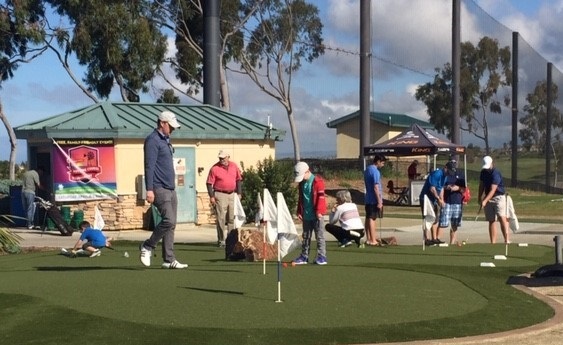 The tour kicked off on Tuesday, May 22 in San Diego at the Rancho Bernardo Inn Golf Course. Thank you to our friends at the Golf Channel for bringing golf’s historic trophy to Rancho Bernardo Inn. All morning, guests took in the view of the Claret Jug and saw firsthand the etched names of the world’s most prestigious golfers. Dating back to 1872, the historic trophy was presented to elite players who conquered golf’s true test. In recent years, this celebrated list includes Jordan Spieth, Henrik Stenson, Zach Johnson, Rory McIlroy, and Phil Mickelson. Before returning to The Open, guests had an opportunity to view the Claret Jug and take photos with the trophy. 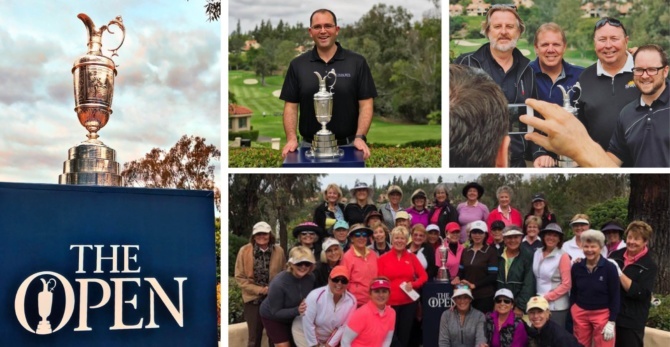 Lower right group photo provided by the Rancho Bernardo Inn Women’s Golf Club. Learn more at rbiwgc.org.